It's that time of year again, time for SPRING CLEANING! 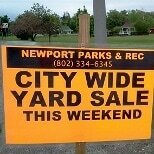 Haul out your garage, basement or attic and make some quick cash at the City Wide Yard Sale in Newport! When you register, the advertising for your sale is DONE. We take care of everything through radio, web and newspaper ads! You set your hours and keep all the profits from your sale. Plus with two ways to sell, it couldn't be easier. Deadline to get on the map is Monday, May 20, 2019. Register your home yard or garage sale with us on Memorial weekend and watch your foot traffic TRIPLE! Our City Wide Yard Sale directory is a highly sought after treasure map for local pickers and families hunting for a deal! Your $10 donation includes a listing on the map, advertising by flier, web, radio and newspaper, AND custom City Wide Yard Sale signs to post near your home! Registration deadline is May 20, 2019. ​Do I really have to pay? This is fun community event that brings neighbors together for a common purpose once a year. Although you could host a yard sale on the same weekend and take advantage of the surrounding traffic and advertising, our hope is that you'll contribute your part, to ensure the longevity of the event and to make it robust and well-attended. A map showing only a handful of locations will not attract buyers to town, so the more the merrier! 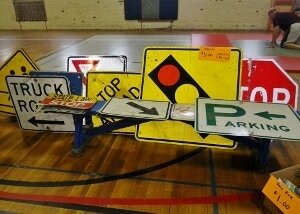 Plus, with the signage and advertising, we think you're getting a pretty good deal for the price. Nothing like sending cash directly to your doorstep for a minimal investment! 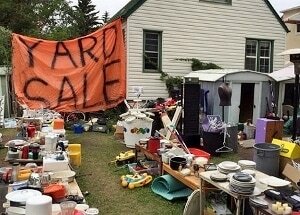 Tips to make the most of your yard sale! 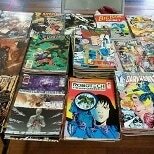 Don't have the ideal yard sale location in town? No problem! 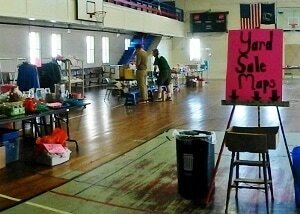 Come set up your sale in the Newport Municipal Building for as little as $10 per table and see hundreds of yard sale shoppers throughout the weekend! The gym is "home base" for the event and is usually one of the first stops folks make to pick up their CWYS map and directory. That's why this spot sees hundreds of customers throughout the weekend, more traffic than most other home locations! With bathrooms, dry shelter and heat, its a great place to be selling from! Kick the yard-saling season off right with the biggest sale of the year! 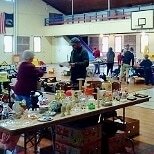 As many as 45 yard sale locations within town limits including a colossal, multi-family sale in the Newport Municipal Gym! The FREE Yard Sale map and directory will guide you to each site. See a listing of items, hours of operation, and special interest items listed at your fingertips. Maps can be downloaded online or picked up at the Newport City Clerk's office as early as 5/23/19. Grab a partner and spend the day venturing around town in hunt of spring time treasures!